The room was clean and a good size.. the pool was an absolute joke, vet dirty with no loungers! 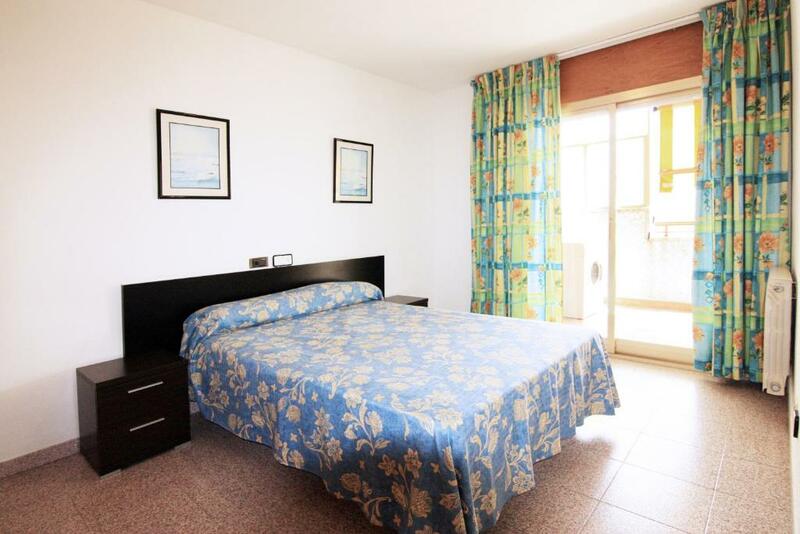 The location is great 5 min walk to local supermarkets and beach ! The pool is quiet and it’s clean. The apartment was in a brilliant location. It was right beside a supermarket and it was near to the beach. It had a balcony most importantly which we spent most our time on. 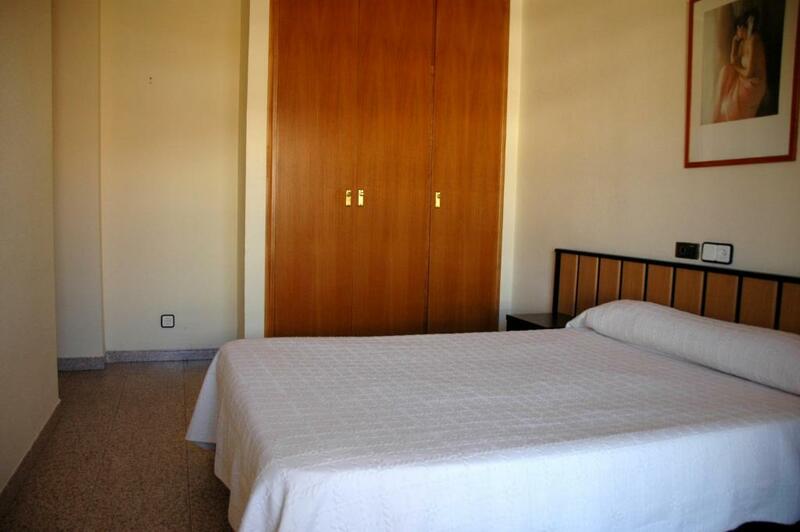 Perfect location - close to sea beach (around 700 m) and close to big supermarket Mercadona (about 400 m). And close to Rail station (about 400 m). Apartment is very well equipped with nice terrace. 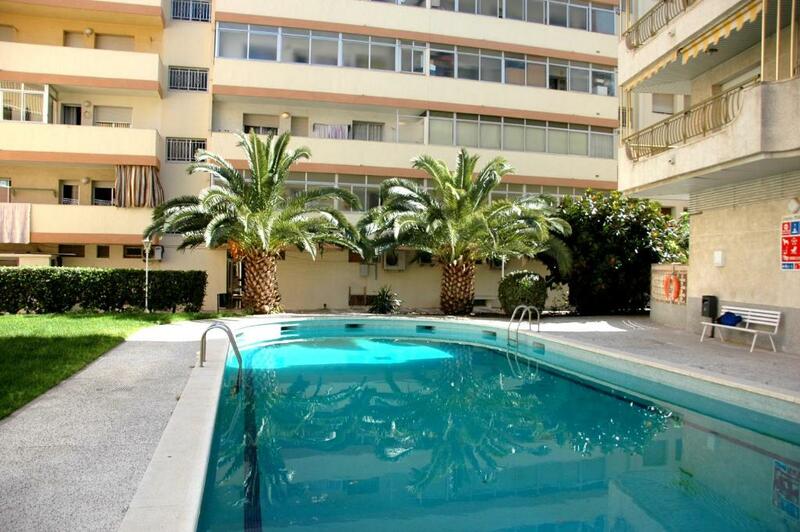 Additionally, swimming pool is near the apartment. The room we were in was very spacious with a very large front and side balcony.took us a bit of time to sus out the washing machine but was nice to have that facility.full size fridge/freezer.no kettle but a coffee percolator that we managed to work like a kettle.walk in shower with lovely hot water and powerful.balcony doors and patio doors all opened onto the balcony from kitchen/lounge and twin bedroom.aircon very good.5mins to beach.central to residential part of town and train station 2mins.walk.-will say that we had 2×2 bedroom apartments.the other 1 had a smaller balcony.twin bedroom was a little pokey and the bathroom was tiny with shower over bath so not all apartments are the same but the price is and I don't think my son's and his 2 friends apartment was such good value so you really want to be asking for an internal pool view end of block apartment to get the best apartments with the double sided balconies. Apartment is comfortable and with good location. Nice pool. Equipped with almost all necessary things. One of our top picks in Salou.Apartamentos Indasol is located in the very heart of Salou, just 2,300 feet from the beach. 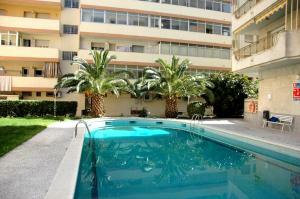 It features bright and spacious 1 and 2 bedroom apartments and an outdoor swimming pool. Each apartment offers a terrace, a lounge area, a TV and a sofa bed. There is also a fully equipped kitchen and a private bathroom. Numerous shops, bars and restaurants can be found in the surrounding area. Port Aventura themed park is only 3.7 mi from Apartamentos Indasol. The fishing village of Cambrils is 15 minutes’ drive away. You can also drive to Tarragona and Reus Airport in about 20 minutes. Barcelona Airport is 1 hour drive away. 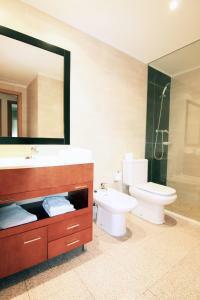 When would you like to stay at Apartamentos Indasol? This 1 bedroom apartment features a seating area with a TV and a sofa bed. It also has a terrace, a private bathroom and a kitchen with an electric hob, oven and a coffee maker. 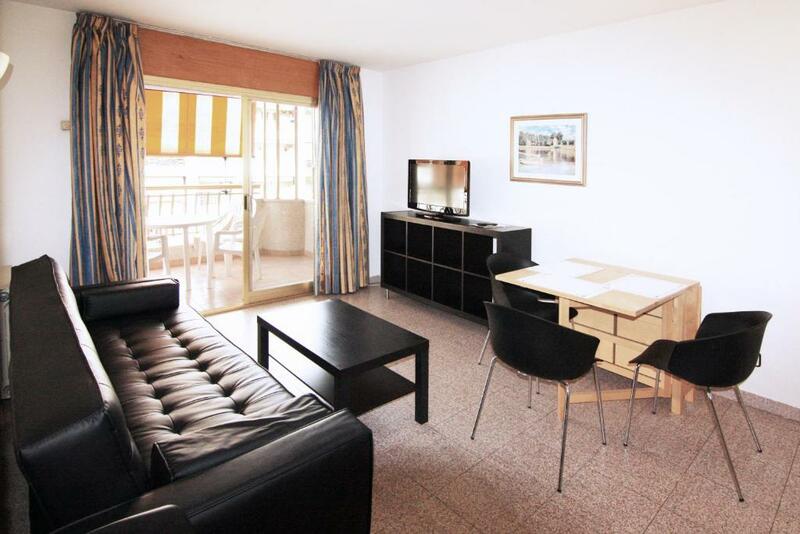 This 2 bedrooms apartment features a seating area with a TV and a sofa bed. It also has a terrace, a private bathroom and a kitchen with an electric hob, oven and a coffee maker. 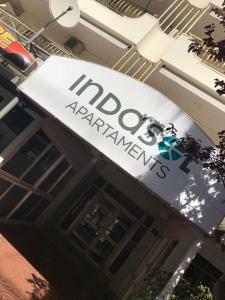 House Rules Apartamentos Indasol takes special requests – add in the next step! 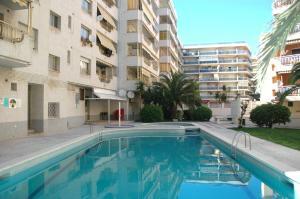 Apartamentos Indasol accepts these cards and reserves the right to temporarily hold an amount prior to arrival. Please note that keys will be collected from INDASOL Office Calle Barcelona Street, 45 from 16:00-20:00. The office is open Monday to Saturday (bank holidays not included) from 09:00-13:00 and 16:00-20:00. If you expected to arrive outside office hours please contact Fincas Indasol in advance. You will find the contact details on the booking confirmation. Please note that a security deposit is required upon arrival for incidentals. This deposit is fully refundable upon check-out and subject to a damage inspection of the accommodations. I think the beds just need little improvement as they wasnt that comfortable. We lost power one night and reception was closed with no contact number for that time so we just turned off and on fuse box and that sorted it. 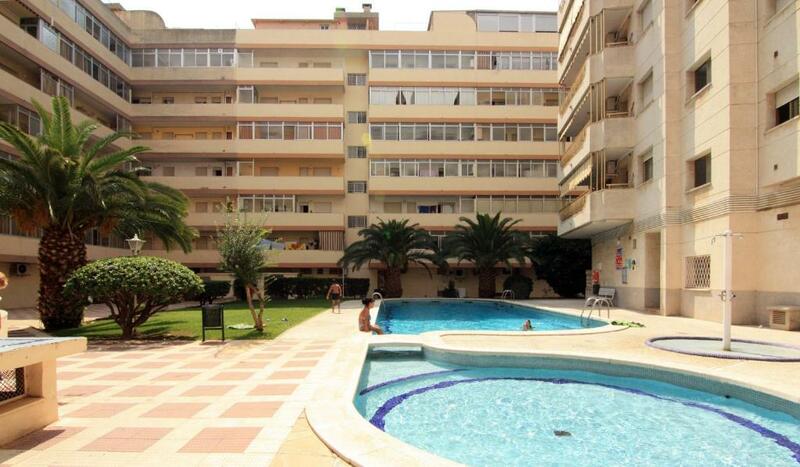 Beautiful apartment very pleased with it, had aircon and balcony looking over pool. It was a tad hard to find the reception to get keys but it was just around the corner, shops not far away, not much toilet paper in apartment but cleaners come in every few days. There was extra towels and pillows and a blanket in the apartment. No instructions on coffee machine and no kettle but we just used a pot to boil water on hob. No extra bin bags and bin is very small but there was plenty of cutlery including chopping board and cheese grater. Bus from airport drops you right beside the reception for keys. Bus stop just across the road from our apartment but bus back to airport is not straight forward so better to get taxi about €30, 15/20 minutes drive. Tourists information and booking office right beside the apartment and plenty of restaurants near by, a kids playground just down the road past bus stop. About 5 minutes walk to the beach and two minutes to the train station. Pool area in apartment was enclosed and there is also a restaurant where you can buy alcohol and burgers but didn't buy anything there so don't know what it's like. Balcony had table and chairs and a retractable canapoe, all rooms have heavy curtains and light curtain nets. Rooms have wardrobes and bedside tables and a safe. T.v. and dining table with sofa bed. Very close to the beach and other activities. The balcony. It’s big but was a wee bit concerned about the bars! The apartmenr wasn't as nice as it looked in the photos. I spent a lot of money on the apartment and I didn't think I got value for money. Although it appeared clear there was sand residue at the bottom of pool and I didn't see any pool hygiene maintenance. There was no kettle or hairdryer and there were no tea towels. 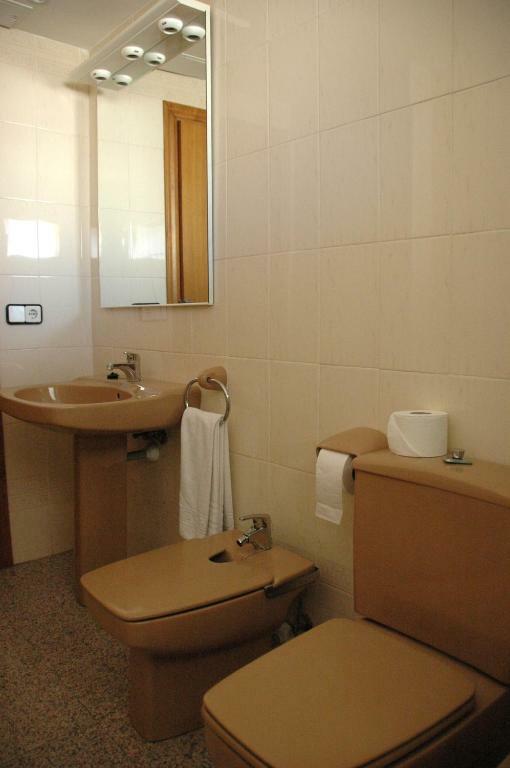 There were plenty of towels, hot water, quiet location, near train station lots of shops nearby,easy to collect keys from office which is a short walk away from the apartment. The beds were comfy. Apartment is very tired.. but clean. Needs new furnishing and fixtures. Lounge area absolutely no comfort.. sofa was so tired and uncomfortable and I had to fit one 8 year old and a baby 4 months on it! Beds were awful to sleep too. ( two singles in the bedroom) Towels very thin/ no spare bin liners/ microwave very old... we were travelling with the baby so was really hard to sterilise bottles and warm food as dial was out of order and we couldn’t work out the power of it. I know it’s very good value and you get what you pay for.. but we were not looking for luxury we just expected to find basic things in working and good condition. Sorry but beds were the biggest down during our stay. The price for the apartment was different from Booking.com.